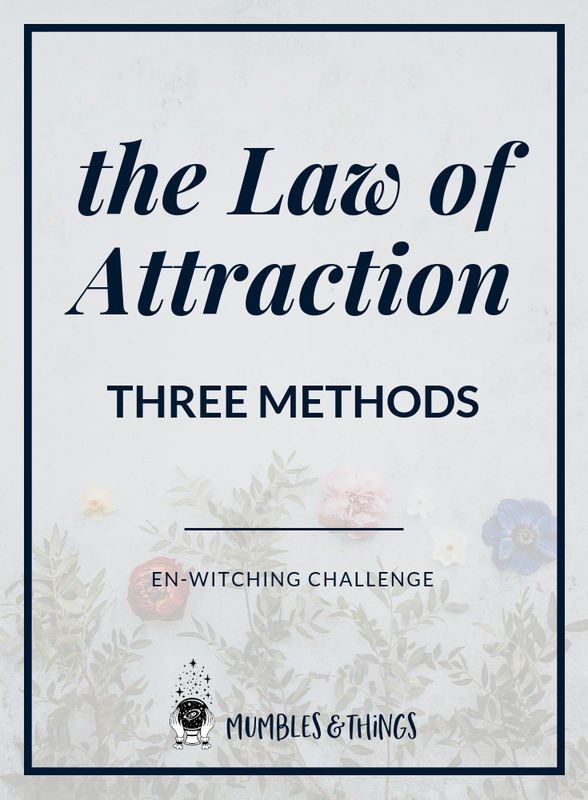 There are as many different approaches to creating this change in how you think as there are books about the Law of Attraction. You can whittle down the approaches into three basic methods: appreciation, visualization and affirmation. Any good spell, ritual, ceremony, should have these three things working together. You will see that each one depends on the others. Appreciation is gratitude. It is focusing on what is going right in this moment and in your life in general. This automatically lifts your vibration frequency out of low vibe emotions in order to attract more of the things you appreciate. The thing about appreciation is that it doesn’t matter if you express gratitude for true occurrences in your life, or fabricating something to feel grateful for. All you need to do is summon and hold the feelings of appreciating a positive experience surrounding your desire. Remember that the feeling is key because emotions are the vibrations. Visualization is when you create a mental picture of your desires. Again, the important part is feeling the emotions associated with achieving the visual picture. It’s more than just seeing what you want in your mind’s eye. Oftentimes, people picture what they want, but feel the lack of not having it. It takes training to turn the feeling of lack into a feeling of excitement about the potential to have your dreams come true. Obviously, visualization then pairs with the feeling of appreciation we just talked about. Remember you can feel gratitude for an imagined occurrence. Visualization might not be the best word because it is beyond your sense of sight. Use each of your physical senses when imagining the circumstance of your desire and feel the way it feels to have achieved your dreams, then express gratitude for these blessings. And it’s important to notice that visualization does not focus on the how. Once you place your request into the Universes hands, through whatever method, you’re part in the creation process is complete. Visualize the end results as often as you want, but be careful not to dwell on the hows of the matter. Affirmation is the act of repeating a positive statement that describes the reality you desire. You can say them out loud or in your head. It can be challenging to get the hang of because unlike appreciation, which helps you focus on what you like about your reality, this practice requires an attitude of faking it ’til you make it, some pretending, or a willingness to suspend your disbelief. It also can feel silly but it is really worth it once your affirmations begin manifesting. Using affirmation in spellwork can be particularly powerful. Use affirmative phrases when declaring your intention to strengthen the overall effect. Again, feeling the sensations associated with the affirmation is important, just as it is with visualization and appreciation. It’s a combination of feeling and speaking that turns your thoughts into things, your intention manifests. Have you ever attracted something (good or bad) into your life because you obsessed over it? What was it? Think about a time you felt out of control or like something was happening to you. Can you pinpoint the Cause? What can you learn from that experience?